Manufactured in the USA of the highest quality materials. Insert your material and watch it do the work. Set your length and quantity with a few simple buttons. Our automatic cutters are programmable, easy to use, adjustable and portable giving you a fast return on your investment. They will cut a wide variety of materials including electrical wire, coax cable, flexible tubing, heat shrink and much more. Even unique materials, such as magnetic wire, are no problem for our automatic cutters. Each of our automatic wire, tubing and cable cutters are easily programmable. With just a few clicks you set the length and quantity for your batch-run of material. No more remeasuring, recounting or loosing track of how many pieces you’ve cut. The Automatic Cutter II and III are a truly automatic cutting machines. Just insert your material and watch it do the work! This leaves your hands free for other tasks. Watch the video above and see how it works! The Automatic Cutter II and III are an unmatched value in the industry. Manufactured in the USA, they are made of the highest quality materials, so they last for years. Their low price will deliver a return on your investment in as little as 1 month! 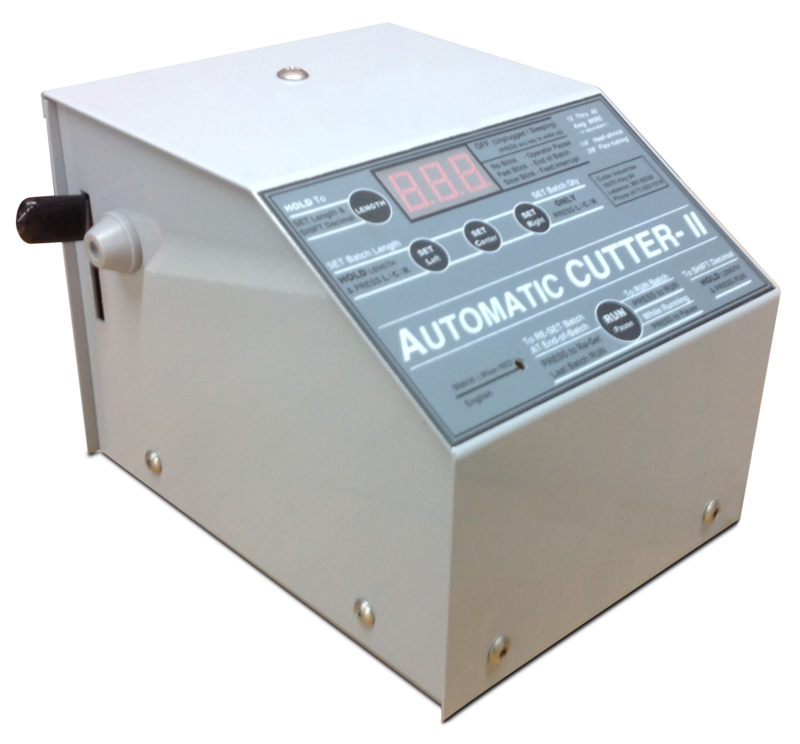 The Automatic Cutter II and III cutting machines cut your wires, tubes, coax cables and more – quickly and easily. Learn more about our automatic wire, tubing & coax cable cutting machines.